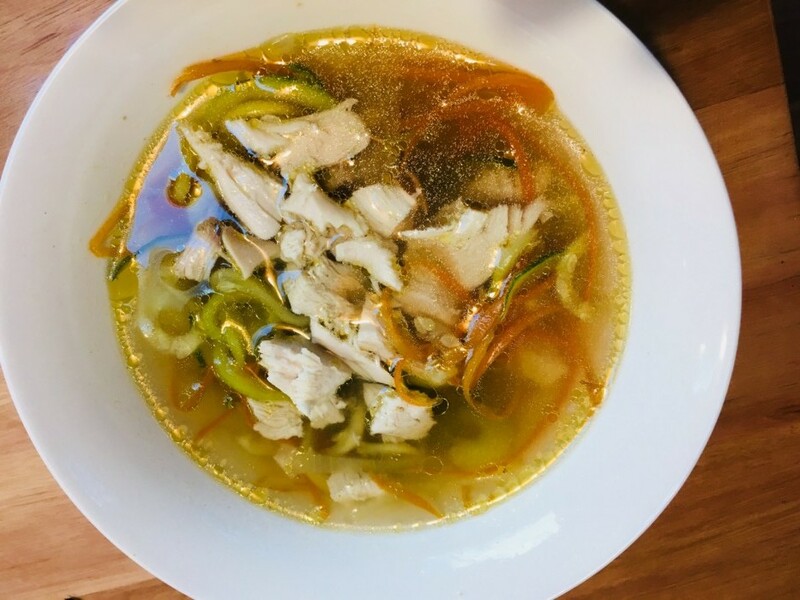 This soup not only tastes great, warms and nourishes but is also full of ingredients to keep your gut health in check and to keep the bad bugs at bay! Spices have been valued through the ages, partly because they taste great, and partly because their medicinal properties were valued. This soup contains cloves and star anise as the main spices. Cloves contain a compound called Eugenol, which has many properties including anti-fungal, anti-bacterial and good for eliminating intestinal worms. Star anise is anti-bacterial and anti-fungal and can be helpful in fighting the flu. By boiling the whole chicken, you are getting all the gut building, immune boosting nutrients from the chicken. The onions and garlic are full of prebiotic fibre, which feed the good bacteria in your gut. Carrots have traditionally been used to get rid of intestinal worms by killing the eggs! So this soup is really using food as medicine! Put chicken in slow cooker and fill with water. Add the star anise, cloves, garlic, onion and ginger. Add the celery, carrots and zucchini into the slow cooker and put the lid on. Cook on HIGH for 20-30 min. Served the veggies and broth, topped with some of the shredded chicken.